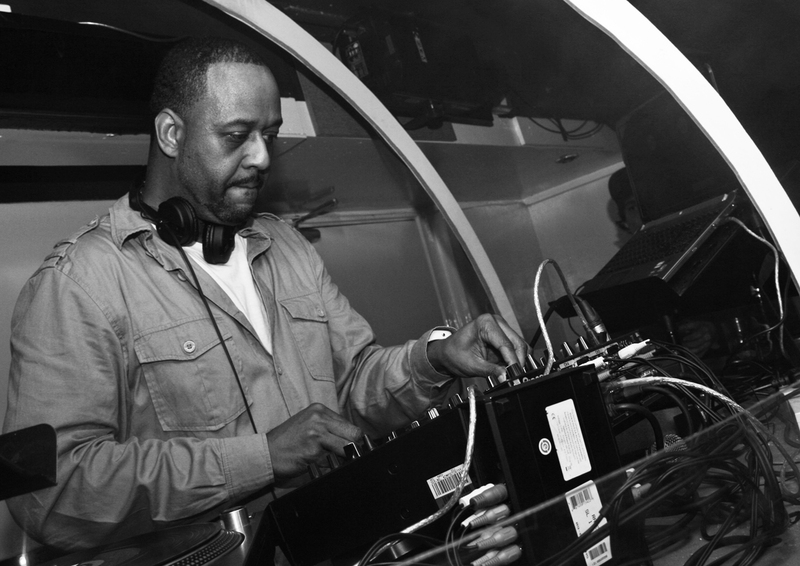 According to his official Discogs page, Keith Tucker is “one of the true keepers of the faith of pure electro.” As a member of the influential Detroit electro duo Aux 88 and co-founder of the Puzzlebox label alongside Anthony “Shake” Shakir, Tucker has helped to shape the genre’s jittery beats and brittle soundscapes. Thus, he’s the ideal candidate to compose a bulletproof beginner’s guide to the Motor City’s electro highlights, from Juan Atkins’ projects Cybotron and Model 500 to Drexciyan legend Dopplereffekt. Cybotron, the kinship between Juan Atkins and Richard Davis, was incredible. “El Salvador,” with its haunting vocoder vocals and insatiable claps on the second and fourth beats, takes me on a journey every time I listen to it. This track is an inspiration. Here, Gerald Donald shows us why you should still keep an ear and eye on Detroit/ Not many artist can paint a real picture with music—but the former Drexciyan demonstrates that he can. Aux 88 picks up where Model 500 left off, and the electro revival began anew. Aux 88 forged ahead with vocally driven songs that move the dance floor….YOU JUST CAN’T SIT DOWN WHEN AUX 88 COMES ON! Stinson and Donald never stopped pushing their dream-driven arps and aquafunk to the streets and the world. This track was not only funky, but also beautiful with its simple bell tones and arps. Aux 88 basslines and grooves are legendary / but “Direct Drive” took it to the street level and then on to the world. The Aux 88 crew never disappoints the jit dance scene or Detroit radio shows. Jit jit …..do you even know? That’s the dance craze created in Detroit, and this is a Detroit anthem. The simple sample is catchy and can be played with any style of dance music. Aux 88 sored to new heights with the track “Space Satellites” off the Mad Scientist LP. The track’s strings are menacing//Aux 88 showed that producers and the genre itself could still grow. 1987 / Erik Travis BROUGHT US PROGRAMMING////This track was heavily played by Jeff Mills on Detroit radio…He was known as the Wizard in those days. This track inspired a lot of groups to create electronic music in Detroit.